He went missing at a park on Saturday, police have said. A body believed to be that of a 6-year-old boy with special needs who went missing in North Carolina over the weekend was found Thursday in a creek near the park where he was last seen, authorities said. Gastonia Police Chief Robert Helton said at a Thursday afternoon news conference that he was "heartbroken" over the grim discovery five days after Maddox Ritch disappeared. "This is not the end that we hoped for," Helton told reporters, fighting back tears. "I've lost a lot of sleep this week worrying about Maddox." Authorities have notified the parents of the boy, FBI special agent Jason Kaplan said at a news conference on Thursday afternoon. Ritch, who has autism and is nonverbal, went missing at Rankin Lake Park in Gastonia on Saturday, police have said. He was last seen by his father and another adult. "The investigation is not over," Kaplan told reporters, adding that law enforcement officials still want to speak with people who were in the park. The body was found partially submerged in the creek by a member of a team of 15 searchers, Gastonia fire chief Phil Welch said at the news conference. The depth of the creek, located more than a mile east of the park, was about two to three feet, Kaplan told reporters. "There is no sense of accomplishment here today," Welch said. "There is grieving down at our command post." With heavy hearts we announce a body believed to be 6-year-old Maddox Ritch was found at approximately 1 p.m. off of Marietta Street/Old Dallas Highway in Gastonia. Maddox’s parents have been notified of the discovery. The investigation is ongoing. 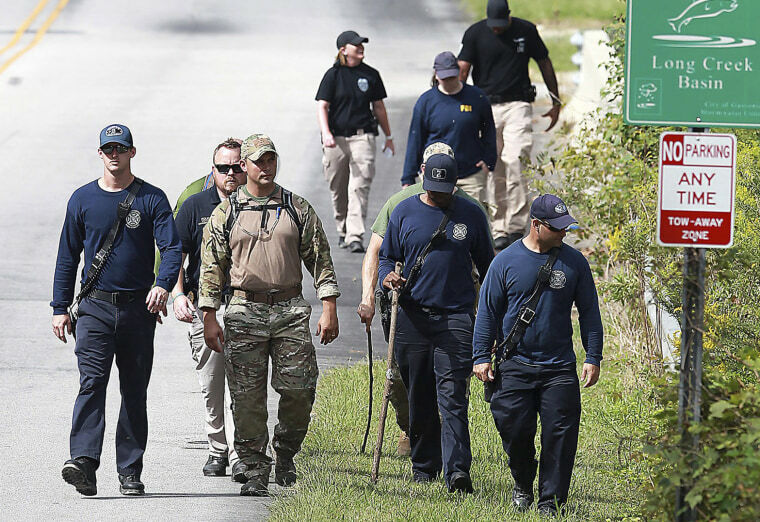 The FBI and two dozen agencies had worked to locate him, with around 100 people scouring more than 1,400 acres in and around the park over the weekend. The identification of the body will be done by the medical examiner's office, Gastonia police said in an statement.